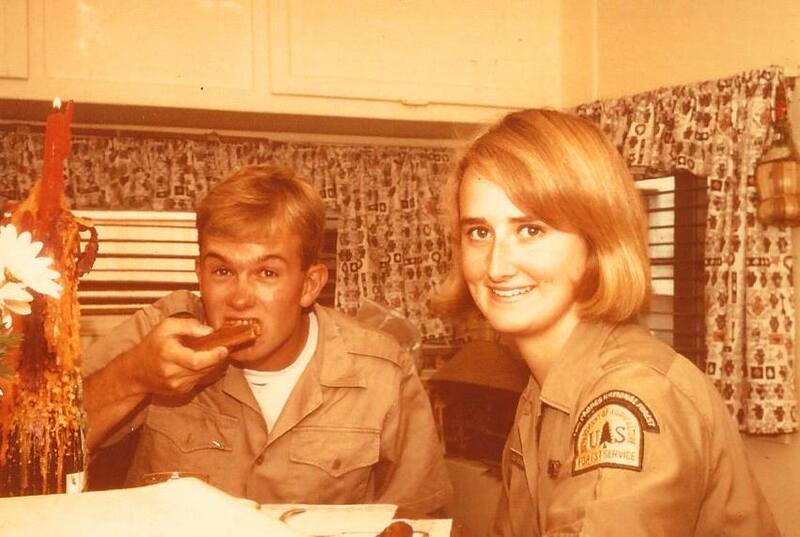 A year later, I lived through a personal “summer of love” when on nearly every weekend from June through August I drove California’s scenic and fabled Highway from Monterey, through Big Sur, and down to Pacific Valley to see my girlfriend who was working as a summer hire for the U.S. Forest Service. 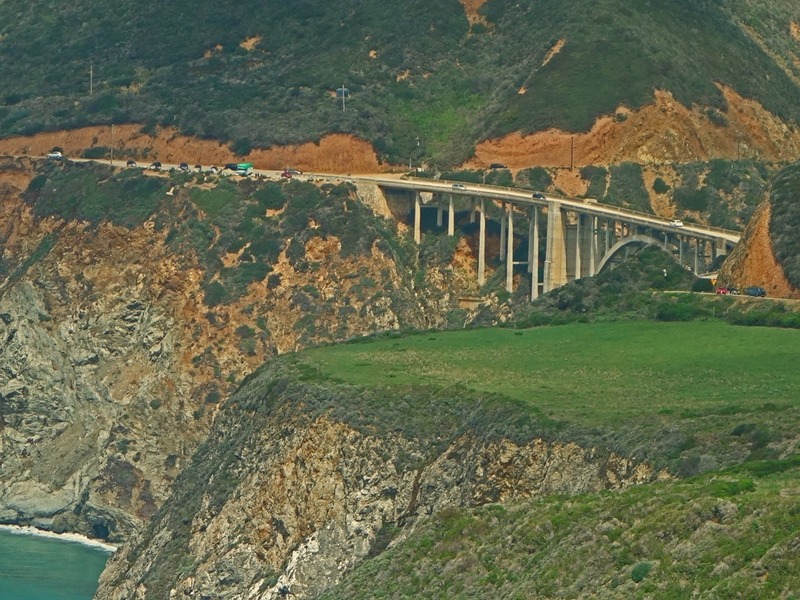 While you’ll be able to celebrate the 50th anniversary of the “Summer of Love” this year in San Francisco, mud and rock slides and damage to a bridge on coastal Highway 1 means that you won’t be able to “do” the drive down the entire Big Sur coast south from Monterey as in years past. But the good news is that enough of the road is open at its northern and southern ends to provide ample things to see and do in this part of California. (Update, October 14, 2017: The San Francisco Chronicle reports that the rebuilding of a bridge over Pfeiffer Canyon on Highway 1 near Pfeiffer Big Sur State Park has been completed so residents and tourist can now drive south from Carmel to Lucia at the Monterey-San Luis Obispo County line. Unfortunately, the highway south of that point remains closed due to mudslide earlier this year and is not expected to reopen until late in the summer of 2018 at the earliest. So “doing” experiencing the scenic drive up that entire stretch of California’s Central Coast is still not possible. Update, July 19 2018: As the San Francisco Chronicle reports, Highway 1 is now fully open, end-to-end. View this video of cars driving the newly-reopened road. But will the news of the reopening of the highway flood it was cars, making the scenic drive a trip from Hell? It may be best to wait until September, when weather along this stretch of coast is more likely to be fog-free, with fewer cars traveling it after school-age kids have returned to their studies instead of counting “99 Bottles of Beer on The Road” with their parents behind the wheel. 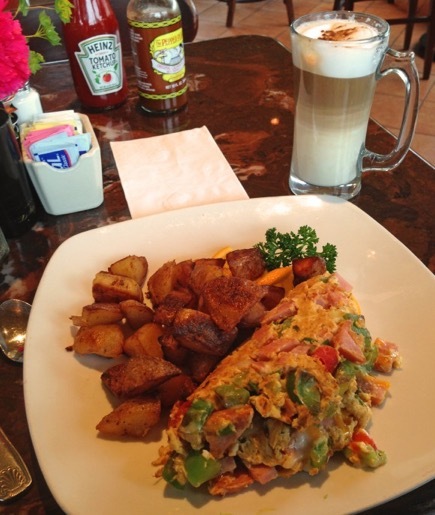 Begin your trip by spending time in the northern Monterey County towns of Salinas, Monterey and Carmel. John Steinbeck, author of books such as The Grapes of Wrath, was a great literary light of Monterey County. 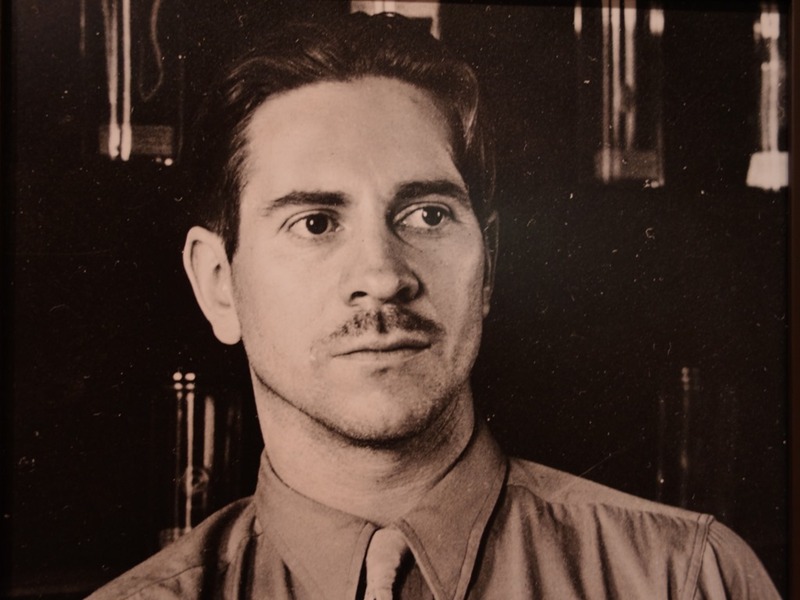 His life is retold at the National Steinbeck Center in his hometown of Salinas, and you’ll find traces of his life, and the renowned Monterey Bay Aquarium, along Cannery Row in the City of Monterey. If you’re not content to see the sea life and Steinbeck’s watery realm, Monterey Bay, in the aquarium or from shore-side, head down to the Coast Guard Pier just past the southern end of Cannery Row and take a ride around the bay on a rigid inflatable boat operated by Fast Raft. Depending on the season and how far out you venture, you may spot whales, sea lions, and sea otters. 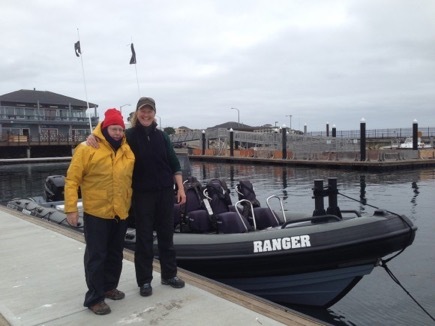 Although I brought my own yellow foul-weather gear to wear for my outing with Captain Kate Spencer, you need only dress in warm layers of long pants, long sleeved tops and sweaters or jackets, a hat that won’t blow off in the wind, and a scarf and gloves in the winter. Fast Raft will provide wind and waterproof pants and jackets. Either before or after your Fast Raft trip, be sure to walk to the end of the Coast Guard Pier where you’ll find a raft of sea lions posing for pictures on the stone jetty. 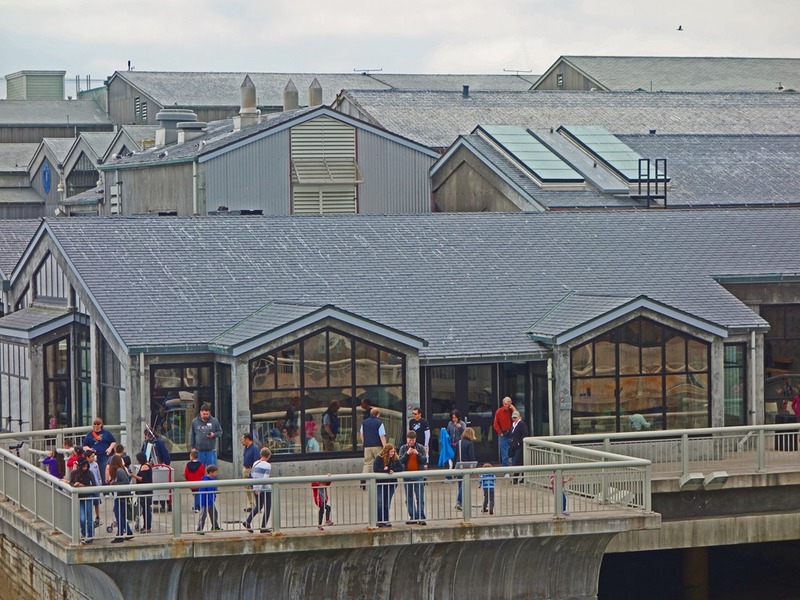 Continue walking south along the shoreline toward downtown and you’ll come to Fisherman’s Wharf, home to a gaggle of seafood restaurants and gift shops. The historic Custom House that is part of Monterey State Historic Park. If all that walking and sightseeing has caused you to work up a thirst and appetite, stop at Peter B’s Brewpub in the Portola Hotel for chow and libations. 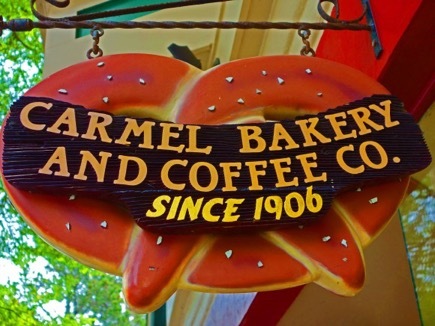 For a more varied shopping experience than you’d have along Cannery Row, hop in the car and drive south five miles to the village of Carmel-by-the Sea. Your best bet for visiting this super-popular tourist destination is to arrive early in the day, before nearly all the on-street parking is snapped up, have breakfast at a place like my favorite, the Village Corner Bistro, and then peruse the shops and walk through the courtyards between streets before the late-rising tourists began arriving in town. 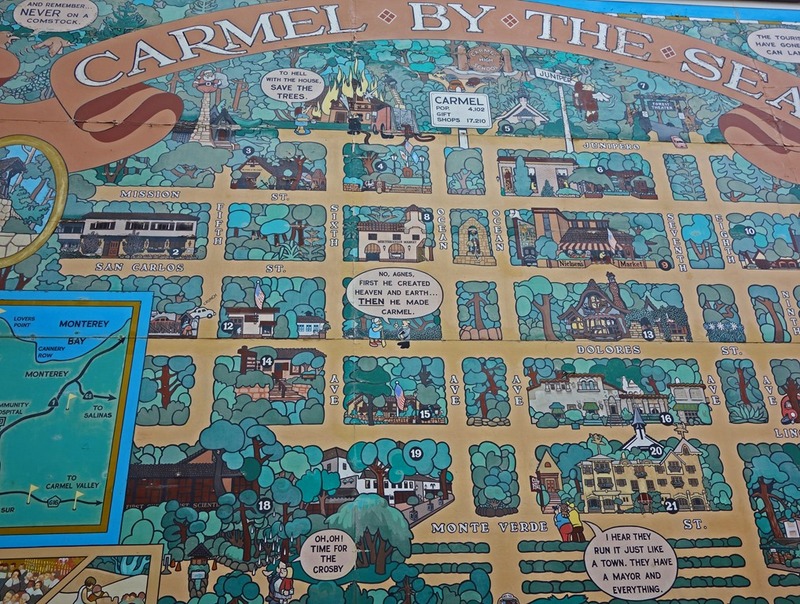 When I first visited Carmel nearly a half-century ago, the shops and restaurants seemed to cater more to “locals” than tourists. 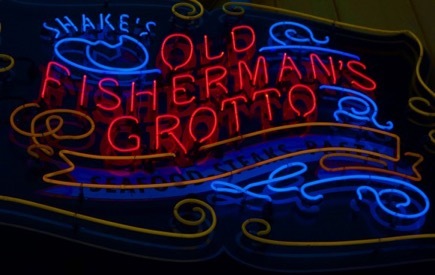 Some of the places I used to hang out at back then and in the following decade, like the ice cream shop on Ocean Avenue and the Red Lion pub, are gone. 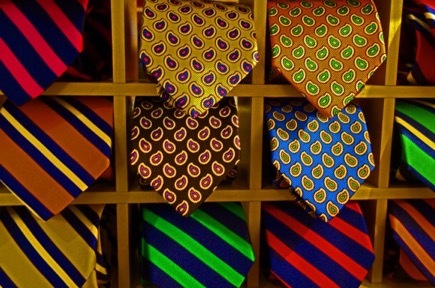 But “The Mole Hole” gift shop, Robert Talbot (whose ties I coveted for years), and the Carmel Bay Company remain in business. 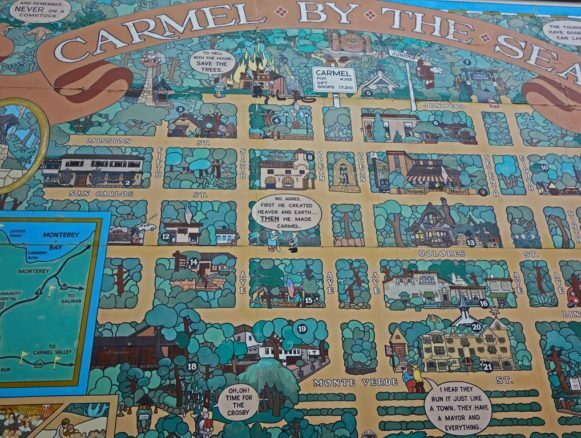 And if you stay overnight in Carmel, you should be able to enjoy a quiet evening of “window shopping” once the shops close for the day and most visitors have departed. If shopping is not your “thing,” or if you have indeed “shopped until you dropped,” drive south on Highway 1 three miles from Carmel to Point Lobos State Natural Reserve where you can get a quick “taste” of the unforgettably scenic section of the California coast that stretches about 150 miles south from Carmel to Cambria, just south of the famous Hearst Castle perched high about the ocean. 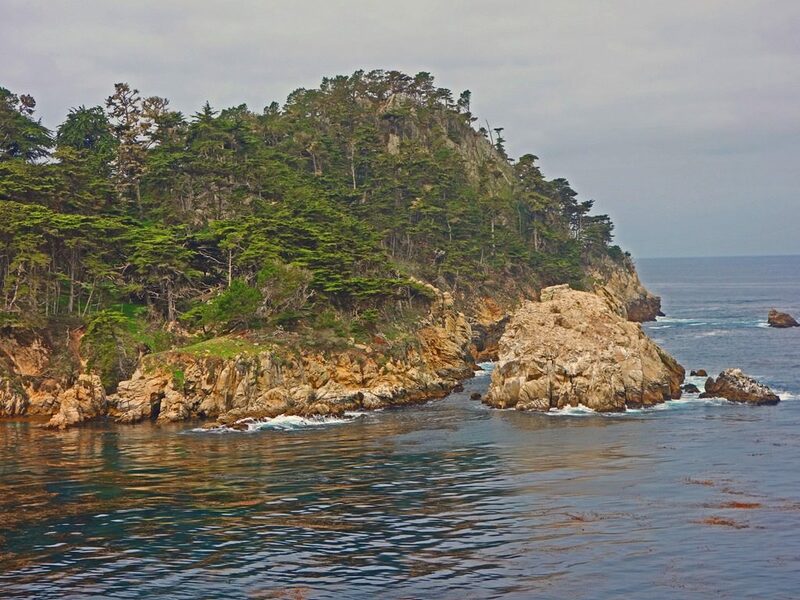 Spend a couple of hours or an entire day wandering around Point Lobos, through the forests, around the rocky points of land jutting out into the ocean, keeping an eye out for seals, sea lions and sea otters near shore, and watching scuba divers set off on underwater adventures. Bixby Creek Bridge is just 11 miles south of Point Lobos, so as many others have done over many decades, drive down the coast to photograph it. If you’re an artist, bring your easel and paints and take a dramatic landscape work of art back home with you. 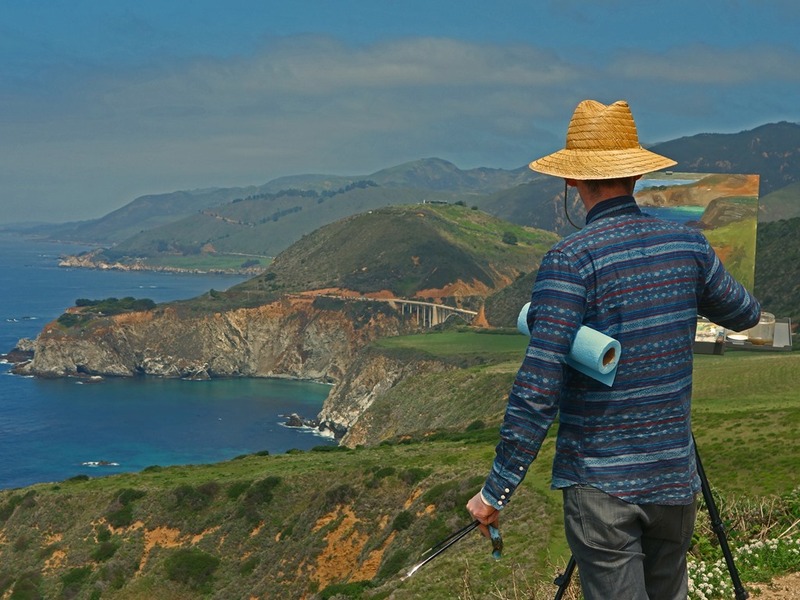 Point Sur State Historic Park & Lighthouse, 11 miles farther south offers tours well worth taking. Pfeiffer Big Sur State Park is open on a limited basis, and you can stay at the Big Sur Lodge in the park as well as camp out. 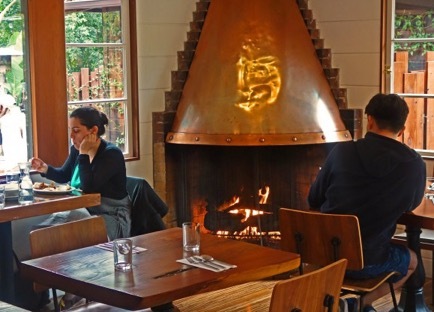 Lodging and dining establishments that have remained open this year include Glen Oaks, where you can have breakfast or lunch at the Big Sur Roadhouse, and the Big Sur River Inn which offers lodging and dining. You’ll find rustic cabins and camping at places like Ripplewood Resort, Fernwood Resort, Riverside Campground and Cabins, and Big Sur Campground and Cabins, some of which have restaurants and general stores. To see both the Monterey-Big Sur area and Hearst Castle while the direct route down Highway 1 remains closed, head east from Monterey to U.S. 101 south of Salinas, then continue south on that highway to the Central Coast’s wine mecca, Paso Robles, west to Cambria, which is a good place to overnight before and after a castle visit, and then up Highway 1 to the castle, about a two-and-a-half-hour drive from Monterey without stops. 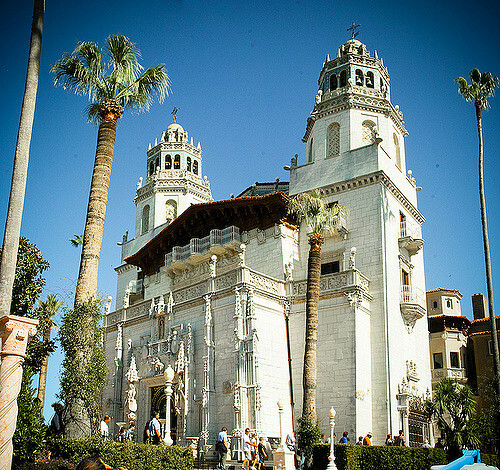 William Randolph Hearst used to take guests to the castle on a long horseback ride east over the mountains to his “hacienda.” After a stay, he’d have his tenderfoot pals driven back to the castle by car while he’d ride back on his horse. These days the Hearst Hacienda is operated as a hotel on the U.S. Army’s Fort Hunter Liggett, about half-way between Monterey and Hearst Castle. 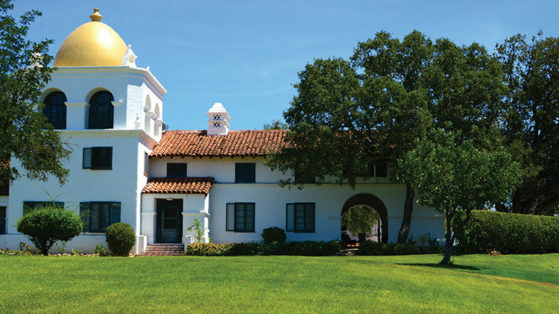 While not a grand as it probably was in Hearst’s heyday, if you are “into” staying in historic places, book yourself a room and spend a night there on the trip from Monterey to Hearst’s much grander San Simeon digs. 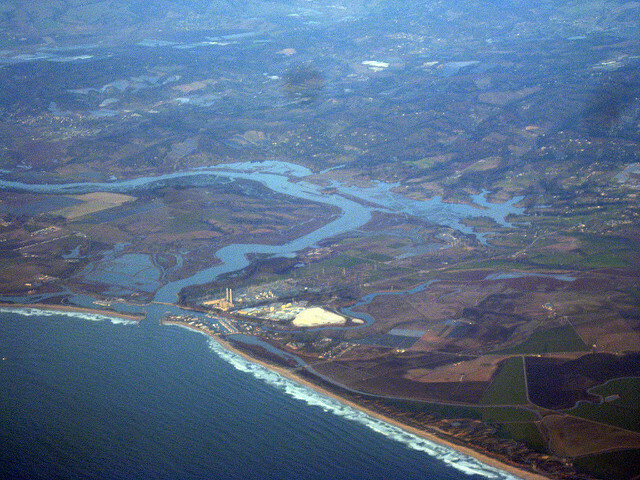 If you’re headed back to San Francisco, and either skipped the Fast Raft inflatable trip on Monterey Bay or had it whet your appetite for more on-the-water wildlife viewing, stop at Moss Landing on the eastern edge of Monterey Bay and head up Elkhorn Slough on the 27’ pontoon boat operated by Elkhorn Slough Safari Nature Tours. 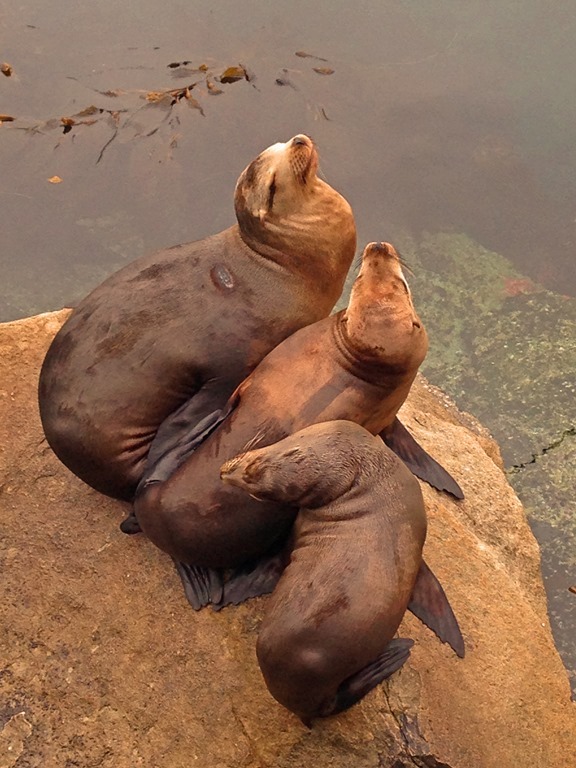 Keep an eye out for sea lions as the boat moves through the harbor and sea otters as you cruise into the slough. 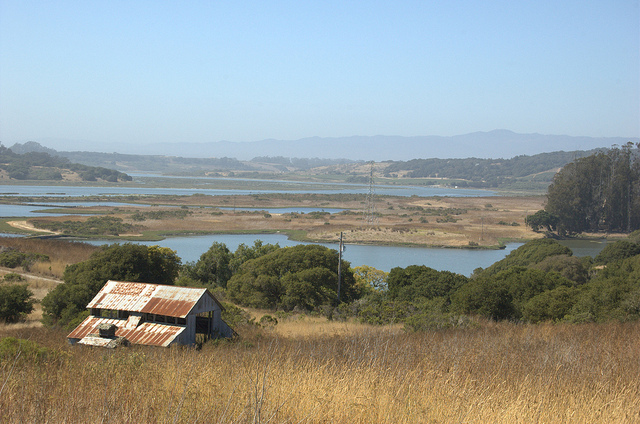 You can see part of the slough on easy hiked through the five miles of trails at the 1,700-acre Elkhorn Slough National Estuarine Research Reserve, located at the east end of the Slough, inland from Moss Landing. 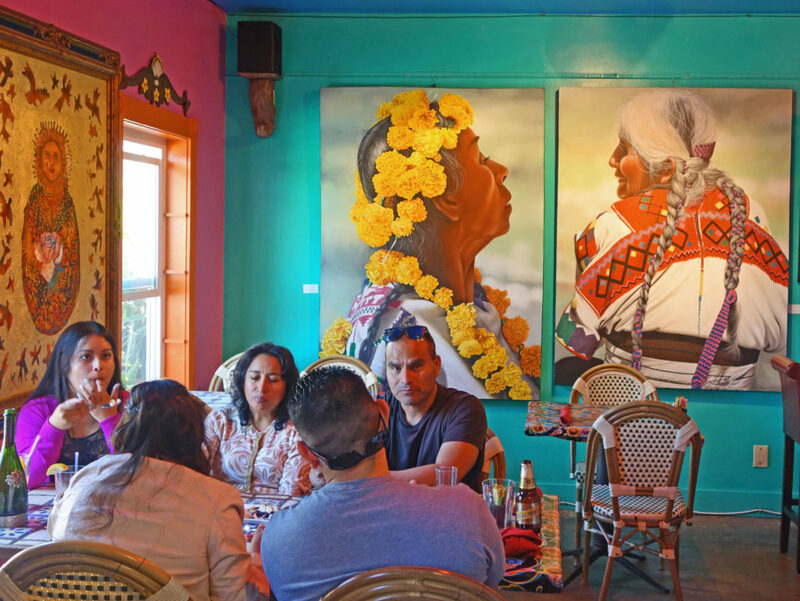 Before or after your slough outing, stop at the Haute Enchilada Café, Social Club, & Gallery for a meal in a quirky setting.